We do a lot of talking about forklift safety on this blog. We talk about safety equipment. 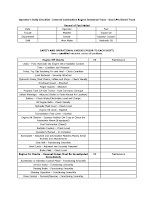 We talk about forklift safety training. The one thing we have not really talked about is how to keep your forklift safe by performing regularly scheduled maintenance on your forklift. 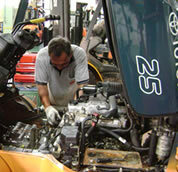 Maintenance is critical for your operators and forklift's safety. Regularly scheduled, this process will inspect the inner details of your equipment to make sure they are operating properly and not on the edge of failure. Proper lubrication and cleaning of your forklift can identify issues with your equipment that neither you or your operators are aware of. You may have hoses that are worn and ready to leak or explode. You may have bearings that are worn and ready to fail. Dirty radiators can result in overheating and unusual engine wear. Worn tires can result in uneven travel of the forklift and could increase the possibility of tipping. Brakes need not only to be function checked, but they need to have a detailed visual inspection on some regular schedule. ﻿﻿One of the most simple but probably least understood processes in a preventative maintenance program is the cleaning of your lift truck. The number one cause of forklift downtime is dirt and debris. A preventive maintenance program is only as good as the cleaning your fork lift receives. Make sure that your provider is taking the time to clean your lift thoroughly including, but not limited to, blowing out the radiator with compressed air, wiping down the hydraulic cylinders, and replacing dirty filters with clean ones. 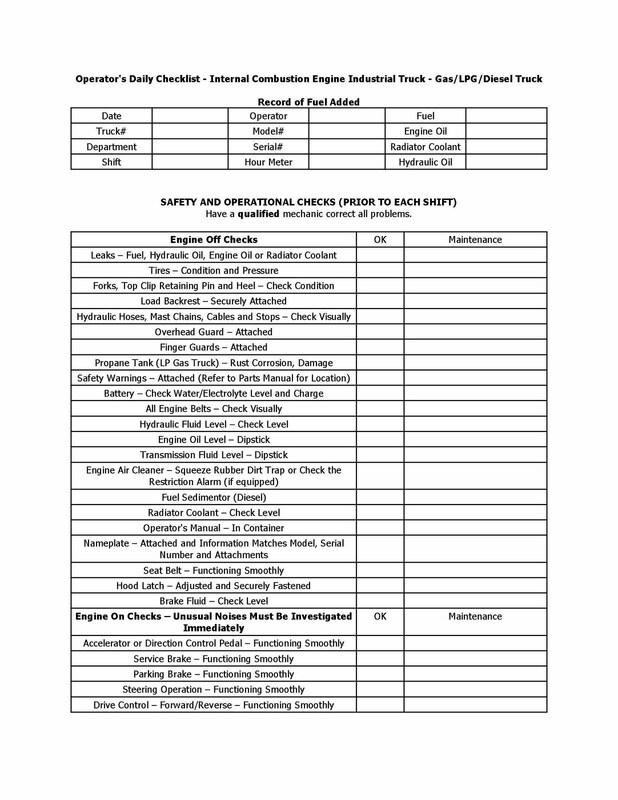 So you can see that it is not only important to have a safety program that includes daily inspections, both visual and functional checks of the forklift (see the checklist example to the right), but also a more regular maintenance and inspection by a qualified forklift technician. 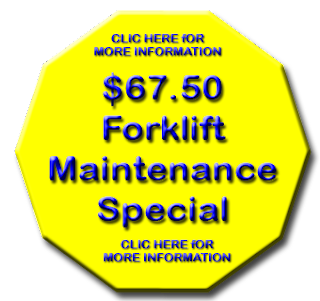 In our effort to continue to support forklift safe use, we are offering a forklift maintenance special throught the end of the year. Click the button below to find our more.